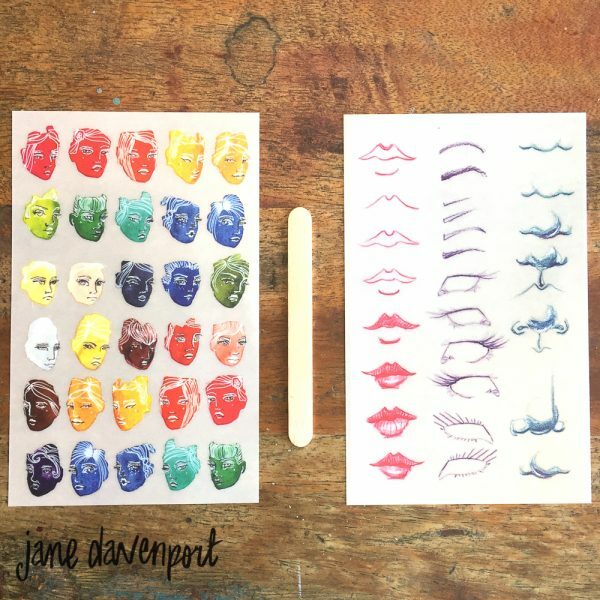 Accent your journals, planners, scrapbooks, handmade cards with fun images using these transfer sheets by Jane Davenport. 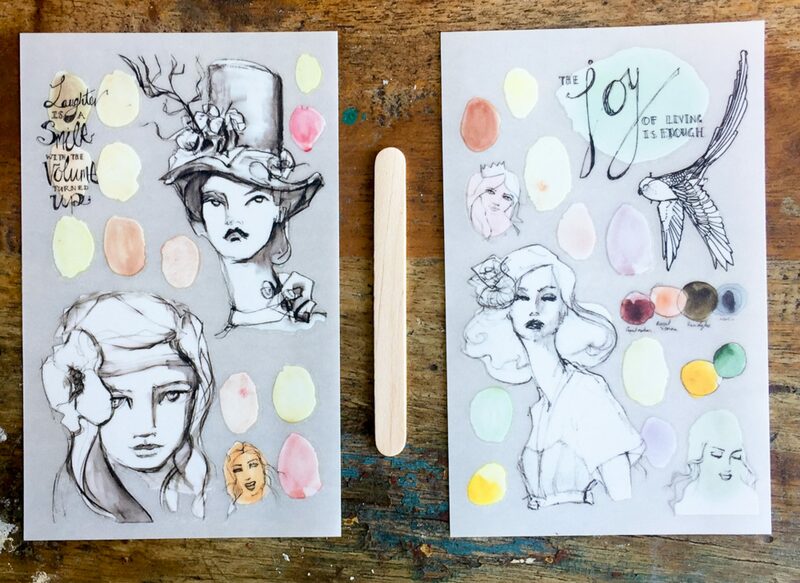 Simply place these sheets on a craft surface, and rub across them to transfer the stunning artwork. 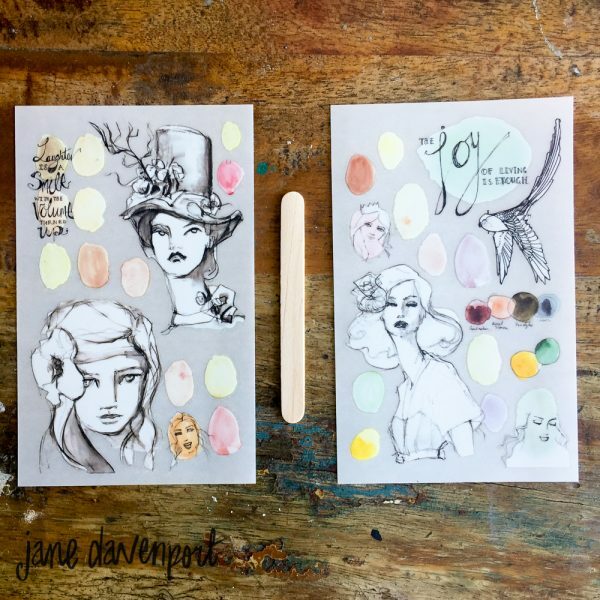 Decorate your scrapbooks or journal covers with these fun transfer sheets by Jane Davenport. 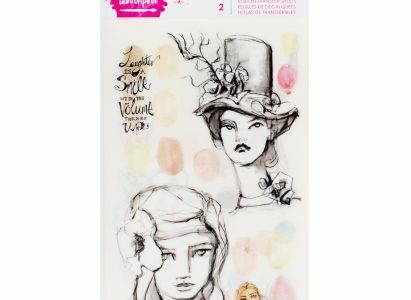 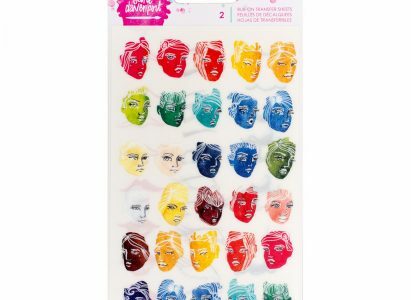 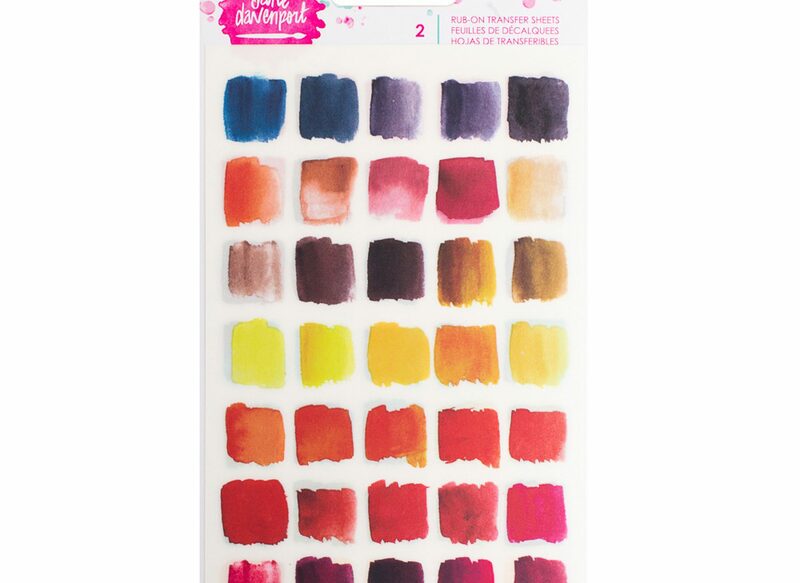 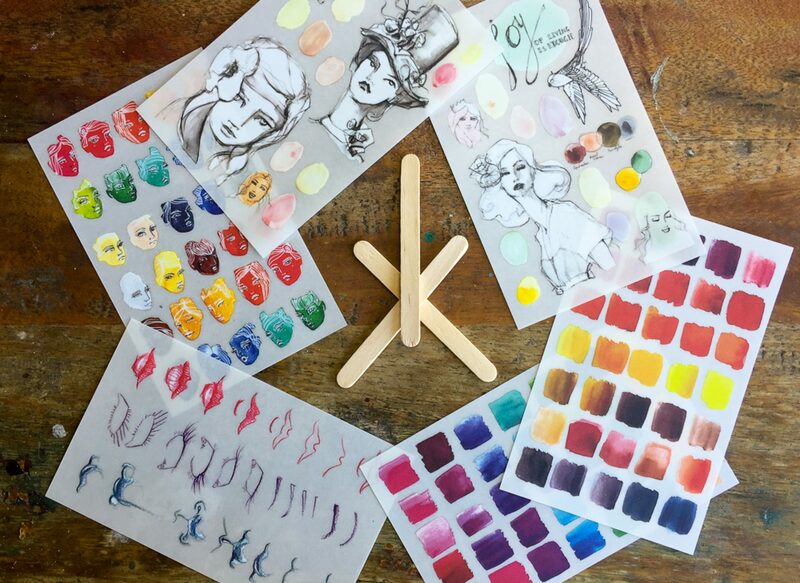 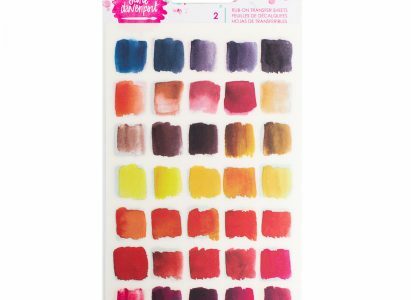 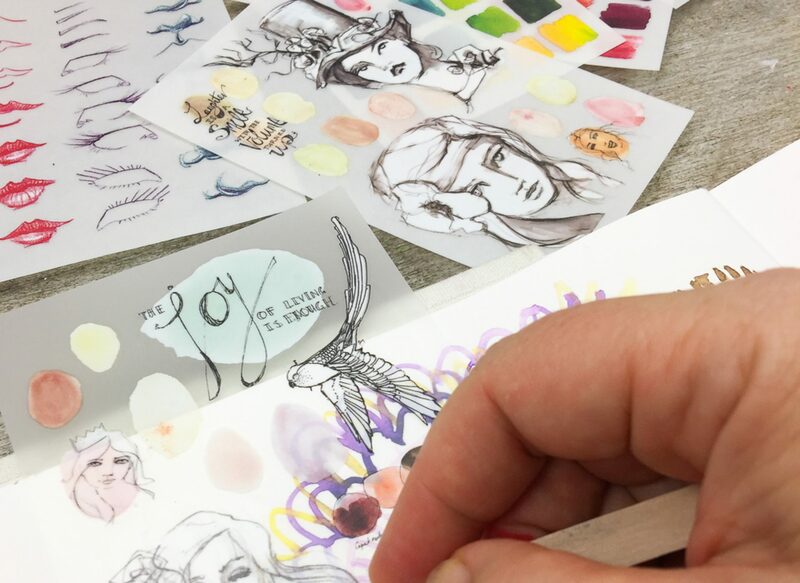 These rub-on transfer sheets are easy to use and let you create intricate face details on your favorite surface. You can also use them for your artwork projects. 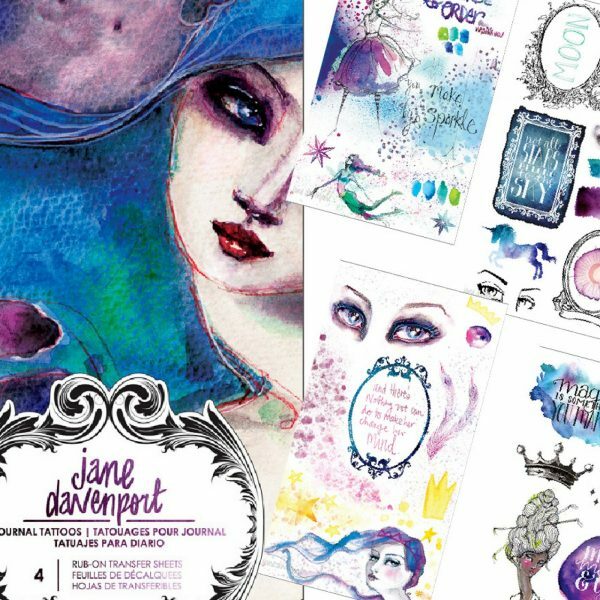 This booklet contains 4 sheets of Journal Tattoos™ (rub-ons) that are wonderful idea inspiration starters, ideal to have handy! 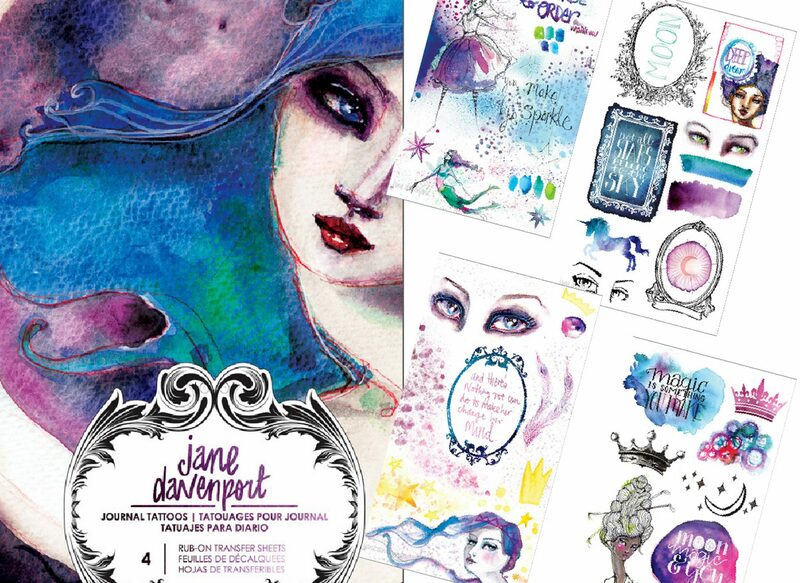 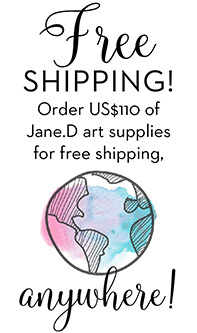 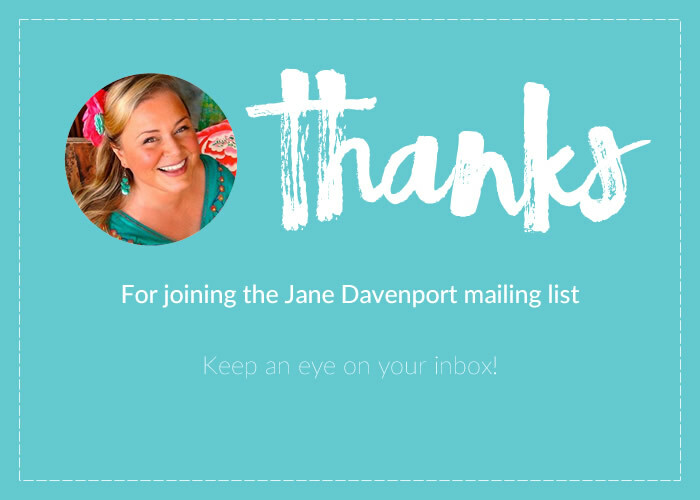 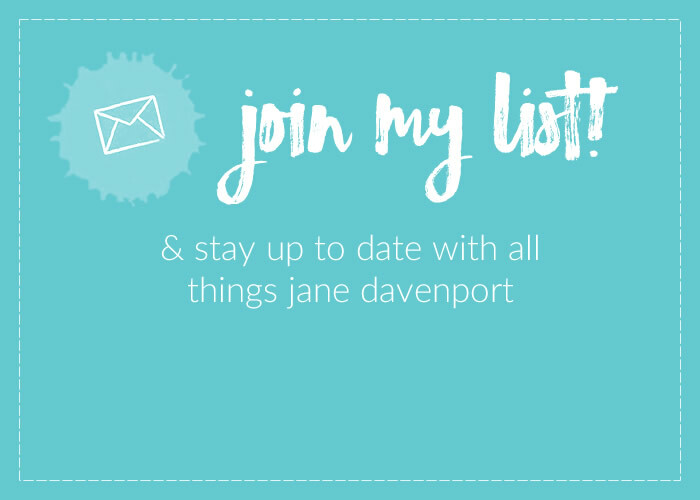 Categories: Supplies, Ephemera, Jane Davenport Mixed Media, JD MM Sets & Special Offers. 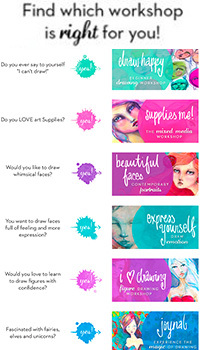 Tags: rub ons, rubons, transfers. 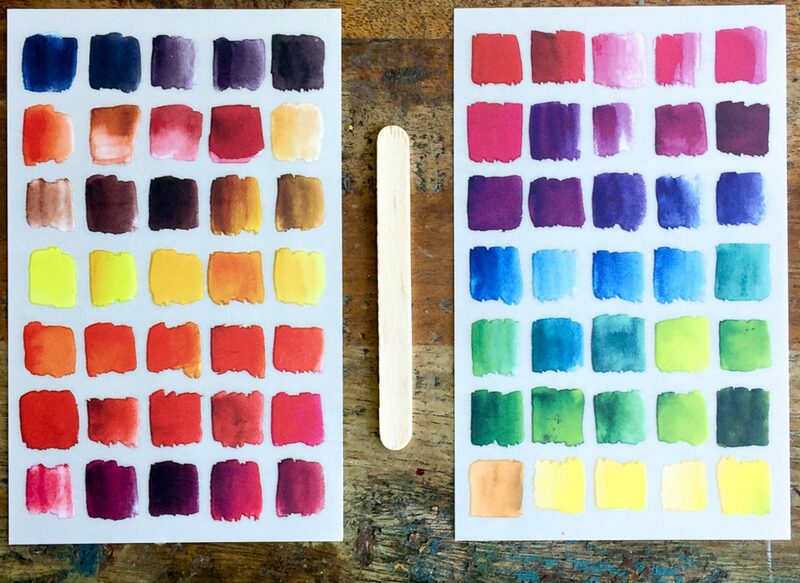 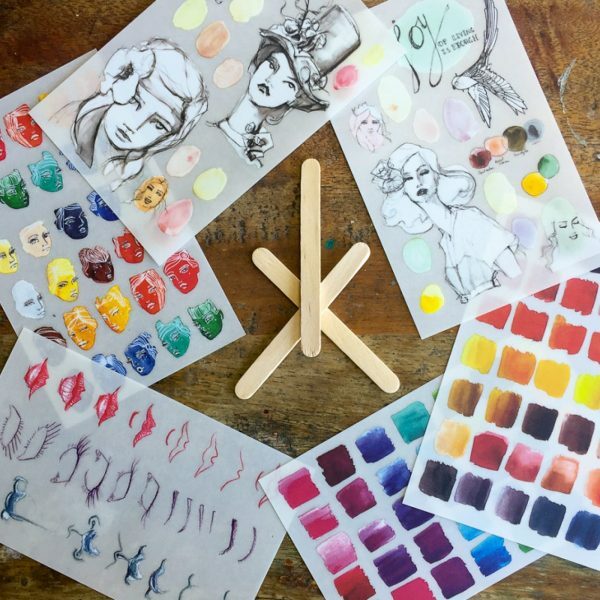 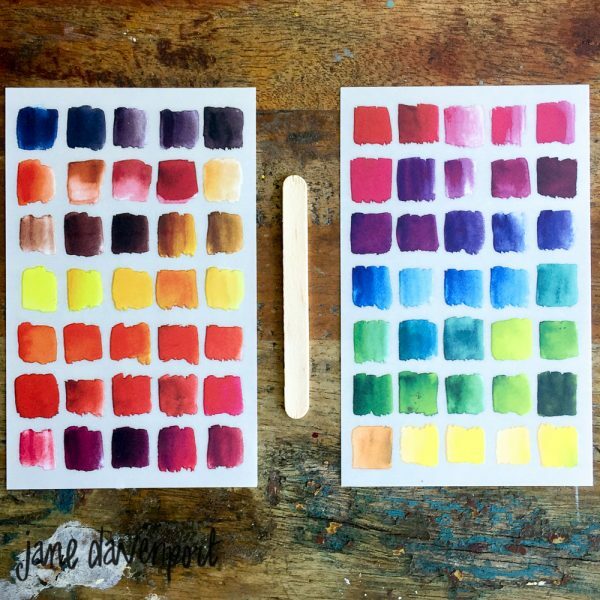 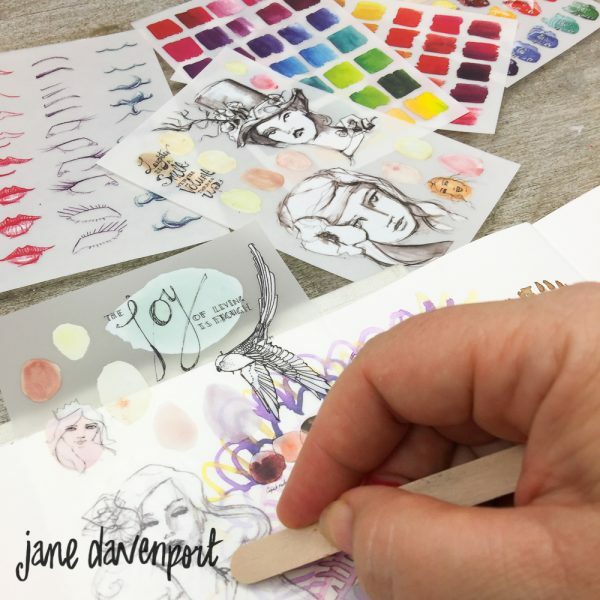 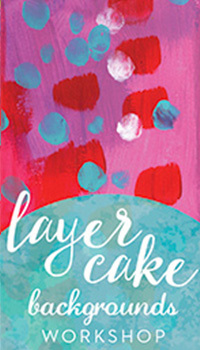 Personalize your art journals with beautiful color effects using these ‘Journal Tattoo’ rub-on transfer sheets by Jane Davenport. 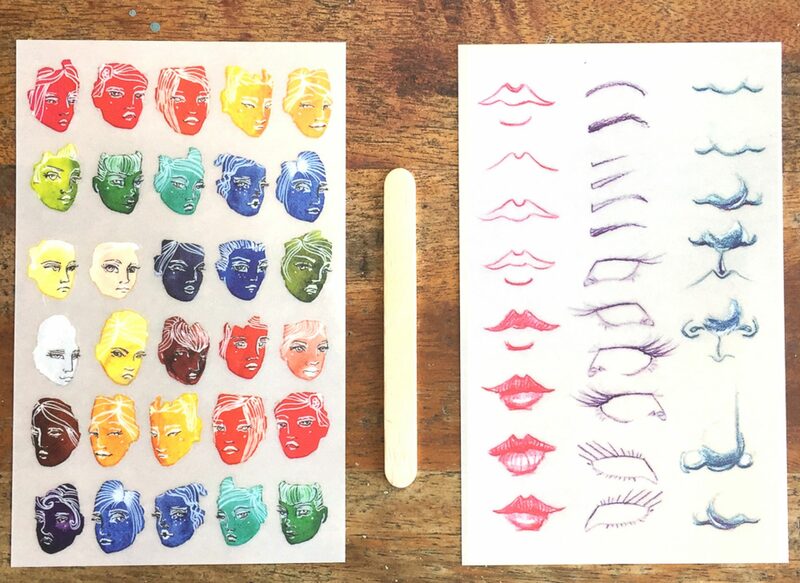 All you have to do is place them on a craft surface, and rub across the images you want to transfer!